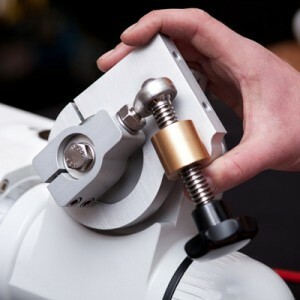 Make sure that the side-plate with the altitude adjustment, is installed in a orderly fashion. 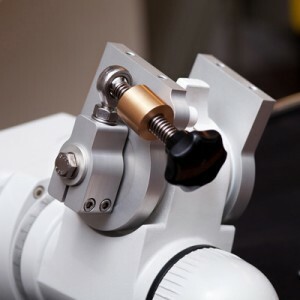 The bore of the altitude adjustment has a nice fit onto the “long” bearing point and therefore should be treaded as such. Turn the polar axis and the side-plates towards you, so that you look at the bolt holes of the side-plates.